Now, cannabis isn’t illegal all over the world, and many states in the US are moving towards legalizing cannabis for both medical and recreational use. However, marijuana is still illegal federally, and many countries the world over have similar – and in some instances, draconian – laws preventing cannabis use. Organizations the world over, whether it’s the United Nations (UN) or the European Union (EU), spend millions, if not billions, on trying to get farmers to stop growing drugs in places all over the world. Some of this is to try and combat the violent gangs and terrorists who control such areas, but it also affects farmers who have been growing cannabis for thousands of years. Frankly, it would be hypocritical of the US (or indeed any nation) to make cannabis legal federally, but fund organizations to combat cannabis farmers in other countries. Moreover, some of these organizations are not exactly all dandelions-and-kittens themselves, sometimes being linked to terrorism, authoritarian governments, gangsters and other unsavory types. Yet, as more and more states decide to make cannabis legal, this is exactly what is happening. Not only are state and federal laws at odds, but national and international laws are as well! Plus, the War on Drugs ultimately only feeds the profits made by some of the nastiest people on the planet. This will not change until more and more countries the world over start legalizing cannabis. Big pharma is just one of the major business sectors that has opposed legalization. Lots of companies – especially big alcohol, tobacco and pharmaceutical companies – have a vested interest in keeping cannabis illegal. Hemp is also an extremely versatile plant with many commercial uses, some of which would definitely be viable alternatives for all sorts of materials. A relatively cheap, non-addictive medicine or material that you can quite easily grow yourself is seen as a threat to the bottom line. Many of these companies have connections to politicians, and some will have no qualms about trying to influence policy by throwing a bit of money at it. Of course, this is a bit of an oversimplification. There are many companies big and small who have lots of interest in cannabis, whether medically or recreationally. For the folks at the White House, managing the two sets of competing interests is a fine balancing act. For the moment, big pharmaceuticals and the like have more cash to splash. 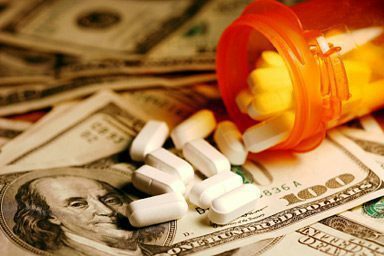 However, as marijuana becomes big business, expect there to be more of a clash between pro-marijuana pharma and anti-marijuana pharma. Even though the War on Drugs is actually quite young, and there was a time in the West when you could pick up Schedule 1 drugs in pharmacies without a prescription or batted eyelid, many people like to “stick to what they know”. For such people, sudden or drastic changes can feel overwhelming. They may also feel that, even if they admit that there is an alcohol and prescription painkiller crisis, adding another “substance” to the market is just going to add another problem to the mix. Though this can be seen as a somewhat shortsighted view, there may be some good reasoning behind it. Sudden radical changes can be overwhelming, especially if the appropriate regulation isn’t in place. In fact, legalization without the infrastructure to support it can cause just as many problems as it solves. Prices need to be competitive, the product needs to be safe & trustworthy, and being able to buy the cannabis without too much hassle are all important issues needing consideration. Don’t do as such, and you’ll just end up with people going back to the black market again. Alcohol has hundreds of years of a head start with regards to regulation, social acceptability and the like. Cannabis, though safer than alcohol, still needs to play catch-up. Prosecutors see convictions for minor drug offences as easy “wins”. More laws to break mean more crimes to punish. 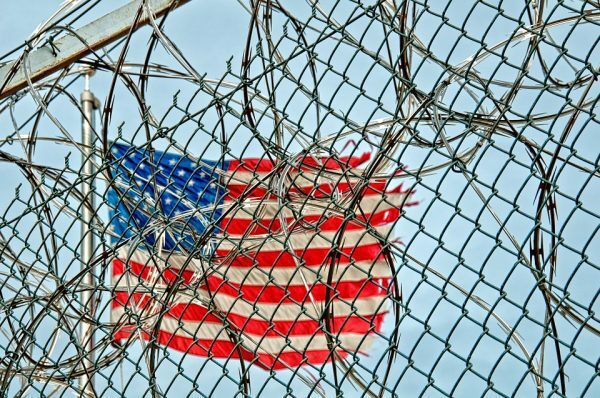 The prison system already disproportionately affects marijuana users of all colors, stars and stripes, but especially those at the lower ends of the income scale (and especially males). Sticking people in prison for nonviolent drug offences seems like a simpler solution than trying to help them in more productive ways. Oh, and needless to say that there are lots of businesses, lawmakers and law enforcers who profit from this situation – whether they like it or not. Making something as benign as pot farming illegal not only helps keep the money coming in, but also punishes those at the bottom of society’s rungs looking for a legitimate way of escaping their situation. It seems, however, that the law would prefer to see such people in prison rather than in profit. However, this is an issue that extends way beyond cannabis. Though a legalized cannabis market may help end the prison-homelessness-prison cycle for some people, it is by no means the only thing that will. This is an interesting discussion, and one that warrants more attention than this blog post and its subject matter can provide. We’d have to start discussing inefficient taxes, land monopolies, the influence of big business on governments, gang culture, family violence & abuse, and lots of other disparate issues to really start getting at the heart of such matters, but that’s for another time and place. There is still social stigma surrounding marijuana use. 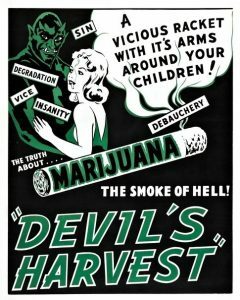 Marijuana is often associated with “unsavory” types, rather than “upstanding citizens”. Yes, we know that marijuana has helped influence most contemporary music, from jazz through to rock through to reggae. Yes, we know scientists, engineers and computer wizards have been using marijuana in order to help relax and/or inspire them. And we also know that there are plenty of entrepreneurs who prefer a vape with their kids as opposed to drink with them. Yet, despite all of the above, people prefer to think of such marijuana users as an exception. Granted, they’re not the rule, either; but most marijuana users certainly are not seen in a similar light to Mr. Average Joe Beer Drinker, either. Marijuana is associated with certain subcultures (especially – though by no means exclusively – those comprised of tanned people from places where marijuana grows naturally), some of which try to follow a simple or noncommercial life. Think hippies, skaters, Rastafarians, Sadhus and lots of other “outsider” or counter-cultural movements. Perhaps this isn’t much of a surprise. After all, these are the groups who have consistently argued for cannabis legalization for many years. However, now that epilepsy, multiple sclerosis (MS), cancer sufferers and plenty more besides are coming out and saying they use marijuana to control or even beat their conditions, the laws are starting to look not only a little out-of-date but inhumane as well. The move towards legalization pretty much always starts with the sick, injured and dying (and a bit of common sense). I hope the above has given you all something to think and talk about. There are so many issues to look at that this blog post could be twice as long. Feel free to tell us what you think in the comments or share your medical marijuana story on social media and wherever else, and get involved in elevating the conversation.